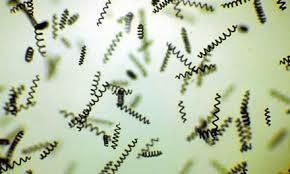 Spirulina is an aquatic organism (0.3mm long) spiral and green-blue color. Appeared on Earth there are more than 3.5 million years, it is as old as the world. These microorganisms helped transform the original atmosphere of our planet by producing, through photosynthesis, the oxygen necessary for the evolution of all other life forms. 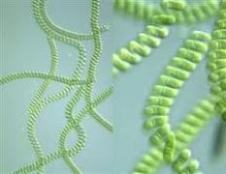 The earliest forms of life on Earth were bacteria that already existed there 3.4 billion years, and cyanobacteria or blue-green algae appeared : Spirulina was born. It has adapted to all physicochemical conditions since the ancient times until today. These first plant cells transformed carbon dioxide into organic matter and dégagèrent oxygen, which in turn allows the development of animals and possibly humans. Often classified as algae, it does is not proper. It is a food, a microorganism belonging to the class of blue-green algae, that is to say a form of primitive life mingling of Algae and Bacteria traits but considered two different and usually called blue-green algae or slimy algae.